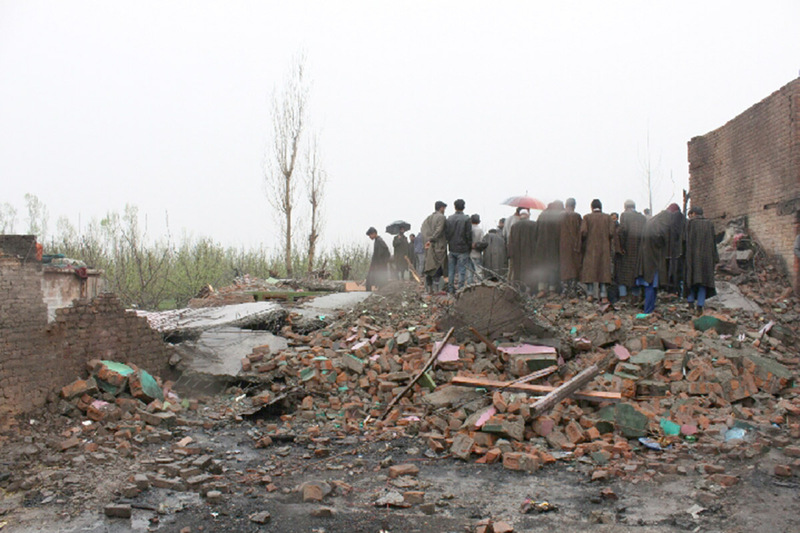 Encounter site at Kachdoora Shopian. Near death experience (NDE) and life after death are part of the fascinating contemporary subjects which are, of late, getting huge attention globally. Hundreds of scholars, life investigators and filmmakers have contributed immensely in understanding the few moments that mark the death of a human body. Tragically, after every encounter, or even during the gun battles, Kashmir is offering a lot of material that may, one day, find its use in understanding the mind of the people who see death and still talk. Last week, there were two instances. In one case, the police facilitated parents of a young boy to meet him in a besiege house and make an effort to get him out of the harm’s way. In another case, a militant used somebody’s cell phone to talk to his parents, one last time, and seek forgiveness. Audio records of the three phone-calls have taken the virtual Kashmir by a storm. These tapes are emerging as the new arsenals of the new narrative of the new militancy. In Dehruna village, near Dialgam, lives a carpenter Bashir Ahmad Khanday. His son Rouf was arrested by police during 2016 unrest and held for three fortnights. Since then, he has been part of the police watch list and every time there was trouble he would get a call. Finally, on March 8, he disappeared and joined militancy. Hajira told a group of visiting reporters that she was longing for her son and was keen to see him. The opportunity came last week when Rouf, along with a new entrant to the fold, skipped a siege in Kokernag and took refuge in Dialgam. Police, apparently chasing him, located him and dropped a phone into the house, enabling him to talk to his parents. Hajira, his mother, had vowed to make an offering if her son lived. But she was content that she had the opportunity to meet her son. “So many boys with a gun have been killed, but I consider myself the luckiest mother because I was given a chance to meet him,” she was quoted saying. She had cried but her son had prevented her from the “sin” and insisted he was “satisfied” (with his fate). Police attempted Rouf’s surrender and failed. They knew the ammunition the young boy was carrying. Even his parents knew he was alone with a pistol and possibly a few grenades and a UBGL. “How a 21-days old militant can face a professional fighting force,” residents ask. “They could have saved one man’s life and another man’s earnings of the life, had they waiting for some time.” But the counter-insurgency grid had their deadline, the first light of the day. They strafed the home of Mohammad Abdullah Khan with explosives, blew it up and ensured “clean” operation. Bashir and Hajira were waiting at the district police lines as their son was killed. They left home with the dead body soon after the first light of the day. The second instance involves a fairly complex showdown between the counter-insurgency grid and a group of rebels at Kachdoora. 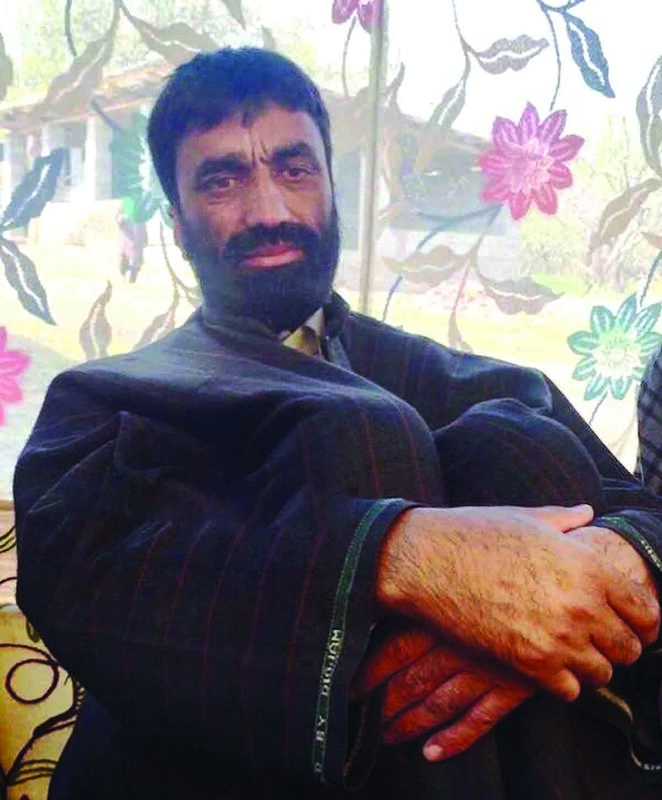 Around 2 am on April 1, Eitmaad Hussain Dar – one of the five militants trapped in the home of Mohammad Maqbool Lone, somehow gets a cell phone and calls his brother, living in Amshipora village. He had disappeared and joined militancy in November 2017. The 6-minute call, nobody knows who has recorded it, is a “heartbreaking conversation” between Dar and his father. Routine talk apart, the father is just seeking details from his son and asking him if he can escape. Understanding the siege is tight, the father tells him, he has nothing much to offer. The militant has a different priority. He is seeking forgiveness: “I am trapped. If I made any mistake, please forgive me.” In response, the father tells him to pray for being steadfast and seek “righteous path” in death. The father asks him if he had any unfulfilled desire, the son says no. “If you are unhappy with me, God will be unhappy with me,” the son says. The father and son seek each other’s blessings and forgiveness and the intense conversation concludes and the line drops. There have been various such last-minute conversations in circulation for the last few years. But this conversation has massively impacted Kashmir. In low voices, the people have started talking about it. That is the basic pure human response. But what are the costs and where has the situation taken Kashmir to. The officer, who spoke anonymously said that the clip took him to 1990s when people were applying henna to their wards and applying kohl to their eyes and giving them a send-off to cross the LoC. “Now, this is more dangerous, a father lacks an emotion, is not perturbed by the situation in which his son is and is talking as a matter-of-the-factly,” the officer said. “These are ominous trends and the government must take the situation very seriously.” He said it pains because “we have seen the 1990s disaster”. Father of slain militant Eitimaad Hussain Dar. For the separatist camp, these incidents are acts of desperation forced on the new generation that sees no exits in the long dark tunnel. But how do the unionists see it? But is not it the failure of politics? “It is a challenge for us and, more so, for the political leadership of the country,” Akhter said. “The political mainstream has not been taken seriously by the leadership of the country and it has already consumed National Conference and now we are facing that threat. But our consuming will not help anybody.” He says his party reoriented the politics in the state, started becoming “part of the solution and not the problem” and restored the respect to the mainstream that the Indian TV is demolishing on daily basis. “The political leadership must take the situation very seriously,” he said. What is the way out? “We must have to act and act quickly-act responsibly. As I sense, time is not on our side – definitely not,” insists Akram.